One of India’s leading kidswear brand, Gini & Jony is synonymous with kids fashion since the 1980s. Winner of the ‘Best Kidswear Brand in India’ by ‘Pantaloons Fashion & Retail Limited’ for the years 2003, 2004, 2005 & 2006, Gini & Jony is known for offering bright and colorful kids apparel and accessories that will make your little munchkins look cute and adorable. USP: One of India’s largest kids clothing brand with over 200 exclusive brand outlets. 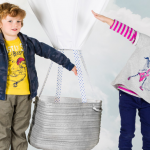 Lilliput is a premium childrenswear manufacturer and retailer. With operations across the Middle East and Gulf, China, Africa and South East Asia, Lilliput offers delightful and vibrant prints and designs that would excite any kid. USP: One of the most trusted kids brand, Lilliput offers stylish, trendy and affordable clothing for children of all ages. With a focus on bright and cheerful clothes that inspire creativity, Little Kangaroos is a very popular kids clothing brand in India. 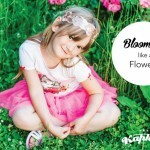 This children’s clothing line offers over 400 new and trendy designs every season that will put a smile on any kids’ face. They also have a presence in Australia, Saudi Arabia, Dubai, Doha, Iran, Ukraine, Egypt and South Africa. USP: Vivid colors, innovative designs, unmatched quality and affordable garments make this clothing brand a firm favorite with the kids. 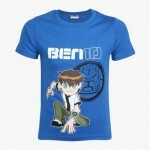 Pamper your kids with cute clothes and exclusive merchandise from Cartoon Network. Whether your kids love Ben 10 or ‘The Power Puff Girls’, the outfits inspired by cartoon characters will make your kids the center of attraction wherever they go! USP: Kids and cartoons are inseparable. Need we say more than this? If you want to spice up your kids wardrobe, Kapkids should definitely be your top choice. Be it a cute dress for your little princess or bright shirt for your naughty boy, Kapkids offers stylish clothes, footwear and accessories for every occasion and every budget! USP: A one stop clothing destination for kids, Kapkids offers a plethora of popular international brands such as Barbie, Levis Kids, Puma, Nike Kids, etc. under one roof. Peppy and playful are the terms that come to mind when one thinks of Cucumber Kidswear. Vibrant colours, lovely prints and excellent quality make this clothing brand a force to be reckoned with in the kidswear industry. Another highlight of their collection is that they offer soft clothing and non-synthetic products created from specialized yarns for the newborns. USP: With 1,200 distributors and 25,000 retailers all over the country, Cucumber is the largest selling kids wear label in the Indian sub-continent. Founded in 2003, Skip Hop is famous for their baby diaper bags and kids backpacks. In addition to these products, they also offer stroller accessories, baby toys, toddler clothes, lunchboxes, nursery items, etc. With a tagline that states, “Must-Haves made Better”, Skip Hop is passionate about designing innovative and game-changing products that would delight both parents and kids! USP: A global lifestyle brand for parents, babies and kids, Skip Hop is present in over 30 countries all across the world. Make your little angel the apple of everyone’s eyes with fun and playful outfits from Chicco. From baby apparel to feeding bottles, Chicco has something for everyone. Their goal is to make a baby happy and assist mums and dads in their baby’s growth journey. USP: With a presence in more than 120 countries worldwide, Chicco is a very popular brand offering a wide variety of baby care products. USP: From famous Bollywood personalities like Priyanka Chopra, Deepika Padukone to Hollywood celebrities like Carrie Underwood, Kerry Washington, etc. everyone has worn a Gauri & Nainika outfit! If you want to make your little girl look like a cute princess, PinkCow is the place to be. Brainchild of fashion designer Pratima Anand, this designer clothing label offers vintage style dresses as well as party and formal wear for little girls. Their prints are fun and vibrant and the quality indisputable. USP: The preferred clothing label for your little angel! 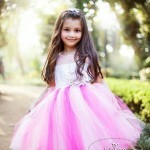 Beautiful princess gowns and dresses at PinkCow will make every little girl’s dream come true. If you are looking for a cute, fresh and playful ensemble for your little one, look no further than Nee and Oink. 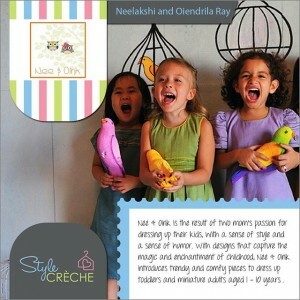 Started by two sisters, Neelakshi and Oiendrila Ray, Nee & Oink offers kids apparel that would captivate both parents and children alike. Recently, Nee & Oink has taken their expertise one step further with the launch of their new clothing line for women. USP: Famous for their fashionable yet comfy clothes, Nee & Oink use only hand-picked organic fabrics and eco-friendly dyes in their kidswear collection. Looking for fun ways to dress up your little cutie? Head over to Sheena – A Boutique for Kids! Sheena Jain, the owner of this store, is a celebrated kidswear designer. At Sheena – A Boutique for Kids, you will find a splendid collection of western clothing, ethnic wear and accessories for boys and girls till 14 years of age! If you want to buy best quality designs and prints at moderate prices, Sheena – A Boutique for Kids is definitely your best bet. USP: Every item at their boutique is personally sourced and designed keeping in mind the superior quality and the latest international trends! 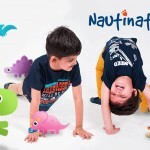 A popular kidswear label, Nauti Nati offers trendy apparel for both boys (1-10 years) and girls (1-8 years). The brand is famous for their wonderful party wear dresses as well as premium casual dresses made out of 100% cotton fabrics. USP: We can’t stop swooning over the playful outfits at Nauti Nati. The brand is also known for its moderately priced products and giving fantastic discount offers on a regular basis. You can’t go wrong with clothes from RUFF. 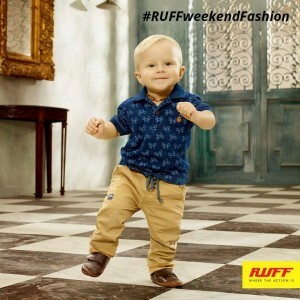 Whether your child loves bright and vivid patterns or simple and elegant textures, the trendy collection at RUFF will thrill any kid. 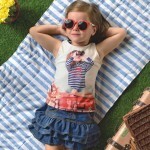 Being the trendsetters in the kidswear genre, this brand is sure to fascinate kids of all ages. USP: Well-known for providing trendy and international quality fashion garments for kids. With a degree in fashion designing from NIFT and CSM- London, Vandana Vinod, the proprietor of Mini me, has many years of experience in designing beautiful and exquisite clothes for children. This designer kids clothing brand is well-known for incorporating fun prints, vivid textures and bright and timeless color palettes in each of their creations. Such is their popularity that they have loads of return customers who vouch for their exceptional customer service. USP: Most of their kidswear collection are handmade or hand embellished and created with premium fabrics. Delight your little ones with fun and playful outfits from these brands. Do you have any other brands/designers in mind that offer lovely clothes for children? Let us know your thoughts and comments. We would love to hear from you!